Yeah!!! I would so love a medal in The Name Game challenge...one of my favorite challenges, even though I've never gotten very far in it. Can we have a medal for TS4, too? 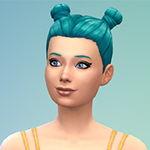 I'm not one of the lucky simmers that can switch between old and new versions of the game...makes me wanna pull my hair out! For the challenges we generally just have one medal, which can be earned by completing the challenge in any of the games. At least that is the plan I also cannot switch between the game versions. Teresa wrote: For the challenges we generally just have one medal, which can be earned by completing the challenge in any of the games. At least that is the plan I also cannot switch between the game versions. How can I do the EPIC challenge on TS2? Bexx87 wrote: How can I do the EPIC challenge on TS2? ok I added medals for the Name Game Challenge and the 100 Baby Challenge. If you have completed either challenge, you will need to report your story thread and request the medal. 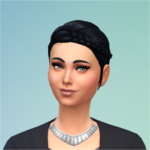 I take it that a completed Queen Bee challenge would qualify as WYDC, since 100 baby challenge is "in as few generations as possible with as many men as you can" (TS3 ruleset @ MTS). For clarification: a QBC has one mother, 60 kids by 10 fathers. I believe that is what we decided at one time. But I want to rethink that because of the total number of required kids - 26 vs 60 vs 100. I think QB could have its own medal. Any suggestions on what image for the medal? Found it on Maze Guy. Thank you, Teresa! And I think that the bee is perfect...now there is another medal I want! lol! All right, I am going to add it - either today or tomorrow. Queen Bee challenge medal has been added! If you have completed the Queen Bee challenge, report your thread and request the new medal!! When it comes to challenge medals, would you still award one if it the medal challenge was part of something bigger - example, a Queen Bee Challenge as part of a BACC. Something that is defined as Queen Bee from the start? I haven't done this but thinking about doing onw in my BaCC, and I know people tend to attempt challenges within that since it's so big. I have a question about medals. I am doing 3 challenges in one so would I get award the three separate medals for the challenges? I think you would get medals for challenges that you complete, even if they are included within a larger challenge/legacy. You would need to materially complete each challenge and identify where it starts/ends - so the Queen Bee would have to have 60 kids, an apocalypse would need to unlock all restrictions within a legacy, etc. 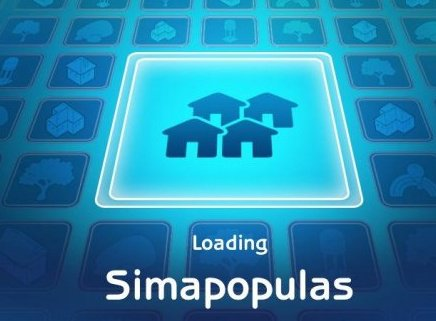 I am working on mega style challenge, as I believe simfulicious is - where we are planning on materially completing several challenges within a single save file with a prosperity style rotation. Oh okay. That makes sense. The only one I am not sure how I would be able to show that I completed would be the wishacy part of my challenge. I have a couple shots of me fulfilling the wishes but other then that there is no proof that I am following the wishacy rules. The 100 babies and 60 babies of it is going to be easy enough. We don't have a medal for the wishacy I don't think, but we wouldn't know if you cheated during a legacy either. A wishacy medal would be awesome. One of my favorite challenges to do. Any more thoughts of adding a wishacy/whimacy medal?